The world is rife with extremists, hiding under the false guise of religion, who scour for prey to add to their numbers, exploiting their loneliness and confusion or feeding their resentments, anger, and hostilities. There is a malevolent malady infesting our world today that has set in motion waves of global and local “tsunamis”. I am referring to the insidious proliferation of stringent and extremist fatwas that have wreaked chaos across the world and destroyed not only individuals and families but also entire societies and countries. Watching the lamentable cumulative impact these legal pronouncements have had on societal and world stability, inviting attacks on the religion of Islam, I started to doubt that the image of Islam could ever be redeemed from the atrocities committed in its name. Egypt’s Dar al-Ifta whose primary role is to issue fatwas and provide pragmatic Islamic legal guidance to Muslims on matters of this world and of the hereafter has been at the forefront of the ideological battlefield from the very beginning, coming forward to shoulder the onerous responsibility of fighting religiously inspired terrorism and extremism. It implemented a strategy of forward engagement, one designed to anticipate, comprehend, and confront the enemy as early as possible while there is still leverage. Consequently, in its capacity as a globally premier fatwa dispensing authority, Egypt’s Dar al-Ifta announced in 2015 CE the establishment of The General Secretariat for Fatwa Authorities Worldwide, a specialized body created to coordinate between fatwa houses and institutions around the world, with a view to curbing the unfettered abuse of the lofty institution of fatwa. Because fatwa is considered the ruling of God on a specific legal question communicated through reliable and trustworthy individuals who are qualified to apply Islamic law to individual cases, it is imperative that muftis, as they are called, must be cognizant of unprecedented issues and the complexities presented by our modern world. They must also receive proper guidance and training to enable them to formulate non-traditional time-appropriate responses without violating the universal objectives of Islamic law. This month, Egypt’s Dar al-Ifta will be holding the 3rd international conference of The General Secretariat for Fatwa Authorities Worldwide titled “The Role of Fatwa in Creating a Stable Society”. In recognition of the vital role that the institution of fatwa plays and the fundamental need for peace and development, the main theme of this year’s conference examines the role of fatwa in contributing towards creating societal stability. In my opinion, this theme was chosen because we are facing an acceleration of major societal disturbance with the potential for major consequences, it is the duty of fatwa institutions to address such possibilities as far in advance as possible in terms of fatwa regulating policies and to deliberate possible responses. 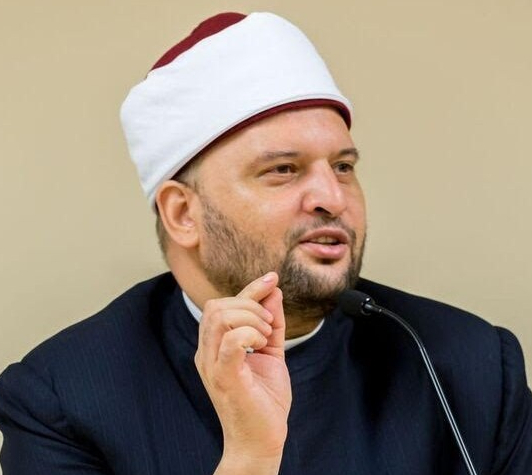 A sound fatwa issued by a competent mufti plays a crucial role in addressing doubts and misconceptions created by the carnival of religious misinformation made available through the internet. The age of the internet, of Facebook, Twitter, Tumblr, the blogosphere and other social media networks platforms and online communities have made it all too easy for many extremist groups and radicalized individuals subscribing to distorted and misguided interpretations of Islam to provide independent erroneous religious information. They opened the door before baseless and unmethodological interpretation of primary texts and abused scholarly opinions, assigning meanings to them that were never intended. Masquerading as protectors of Islam and the only authority of the religion, all they are doing is to destroy minds and lives for their own vile intentions that are completely inimical to true religion and to the well-being and interests of humanity as a whole. In spite of this, their growing popularity is simply staggering. The media, whether printed, audio, or visual, is another particularly fertile ground for the expression and distribution of aberrant and misguiding fatwas dispensed by individuals with flawed, shaky, or even no religious knowledge or education under their belt. In this respect, many media apparatus are guilty of doing a great disservice to countless people across the globe. Lies against religion have the potential of becoming weapons of mass destruction. They destroy family relationships, communities and societies. They shake people’s faith. They contaminate people’s minds and ideas. They arouse hatred, discrimination, and violence against non-Muslims and Muslims alike. They incite fear and mistrust of Islam and Muslims around the world. They provoke unrest and intolerance. They create chaos and religious misconceptions. It is time someone does something to eliminate the scourge of misguiding and extremist fatwas that threaten our peace, development, and stability. Fortunately, Egypt’s Dar al-Ifta and The General Secretariat for Fatwa Authorities Worldwide have stepped in.